Gene Wilder, Star Of 'Willy Wonka' And 'Young Frankenstein,' Dies : The Two-Way The actor and writer who brought his signature manic energy to comedy classics died at his home in Stamford, Conn., of complications from Alzheimer's disease. He was 83. Actor Gene Wilder as Willy Wonka in Willy Wonka & The Chocolate Factory in 1971. Wilder died Monday at 83. "The decision to wait until this time to disclose his condition wasn't vanity, but more so that the countless young children that would smile or call out to him 'there's Willy Wonka,' would not have to be then exposed to an adult referencing illness or trouble and causing delight to travel to worry, disappointment or confusion," the statement read. "He simply couldn't bear the idea of one less smile in the world." In the first of his three pairings with director Mel Brooks, 1967's The Producers, Wilder endeared himself to audiences as the anxious accountant Leo Bloom, a nebbish drawn into an elaborate scheme to create a surefire theatrical flop. Wilder's pale blue eyes flashed on the movie screen, which helped lend him the profoundly soulful quality for which he became known. In roles such as Blazing Saddles' washed-up gunslinger, and Silver Streak's book editor, he exuded a gentleness and warmth. But he also fully committed to every performance. Young Frankenstein, the 1974 film in which he played the grandson of the infamous Victor Frankenstein, begins with a scene that shows off the deftness of his comedic gifts. As the pompous surgeon Frederick Frankenstein concludes a lecture, Wilder seems cool and slick, but when questioned about his grandfather's work by a student, he ramps up into a hilarious screaming fit, allowing us to see just how fragile the young doctor's composure truly is. As the eccentric chocolatier of Willy Wonka & the Chocolate Factory, Wilder tempered the on-screen hysterics for which he was known with a slyly mysterious quality that lent the children's film a peculiar, menacing edge. Famously, he refused to take the role unless his character could make his entrance limping out of the factory, planting his cane in the ground, and doing a somersault. When director Mel Stuart asked him why, Wilder said, "Because from that time on, no one will know if I'm lying or telling the truth." 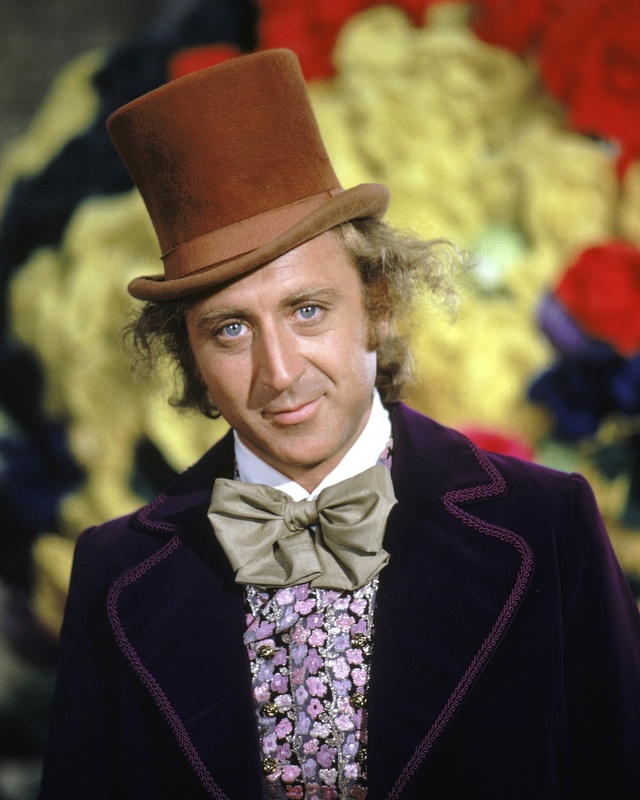 As a result, it's Wilder's performance in Wonka that's perhaps his most indelible: He shades his cheerful confectioner with a capriciousness that serves to keep a film about a candy factory from feeling saccharine. Wilder's 1984 marriage to comedian Gilda Radner turned the couple into latter-day Hollywood royalty. Separately, both performers had been hugely popular; together, they were beloved. Just five years later, however, Radner died of ovarian cancer, leaving Wilder devastated, according to his 2005 memoir, Kiss Me Like a Stranger: My Search for Love and Art. Wilder co-wrote the screenplay for Young Frankenstein with Mel Brooks, and later in life he turned to writing full time, producing three novels and a collection of short stories.